Home / news / PAC Silent Auction is NOW LIVE! 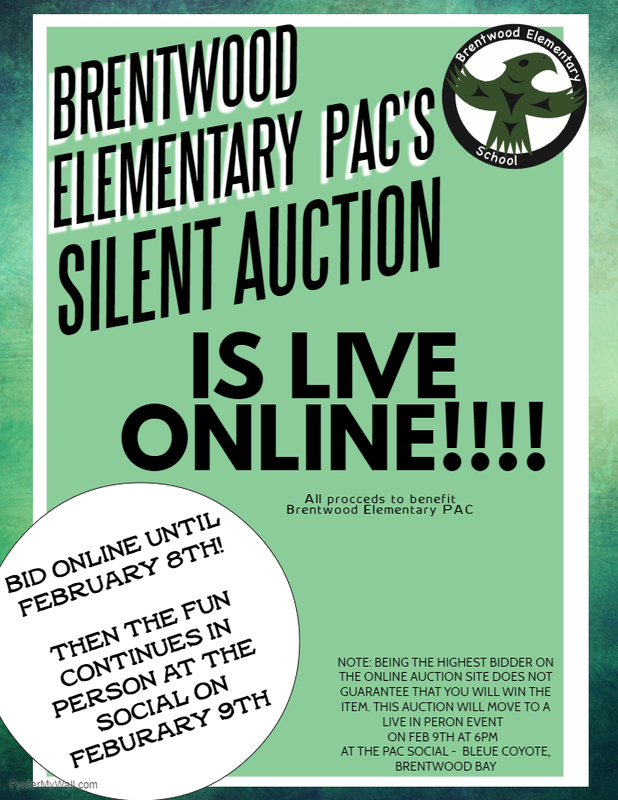 The Brentwood PAC Silent Auction is now online until February 8. 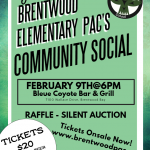 It will transition to a LIVE auction at the PAC Community Social from 6pm to 8pm at the Bleue Coyote, where payment will be taken and items can be picked up! Thank you to some of our families and community businesses for your support with some amazing items! !